Greer Tidwell graduated in 1985 with a Bachelor of Science in Engineering Science. As the Director of Environmental Management for Bridgestone Americas, Inc., he manages manufacturing, research and development programs for tire operations facilities in Central and North America. In this Alumni Q & A, Greer discusses his passion for environmental engineering and his joy in creating a Baylor legacy. Q: Your daughter, Brittainy, graduated in May with a Bachelor of Science in Mechanical Engineering. You were one of the first Baylor engineering graduates in 1985. Describe the Baylor engineering legacy within your family. A: Our Baylor legacy is not only a family legacy, but also a Nashville legacy. There are three other Baylor graduates in our neighborhood and a strong Nashville-Baylor connection. Baylor is a strong community that builds on what we have in our own neighborhood. That was forefront in Brittainy’s mind during her college selection process. Our legacy is also a family focus on looking ahead and building for the future. 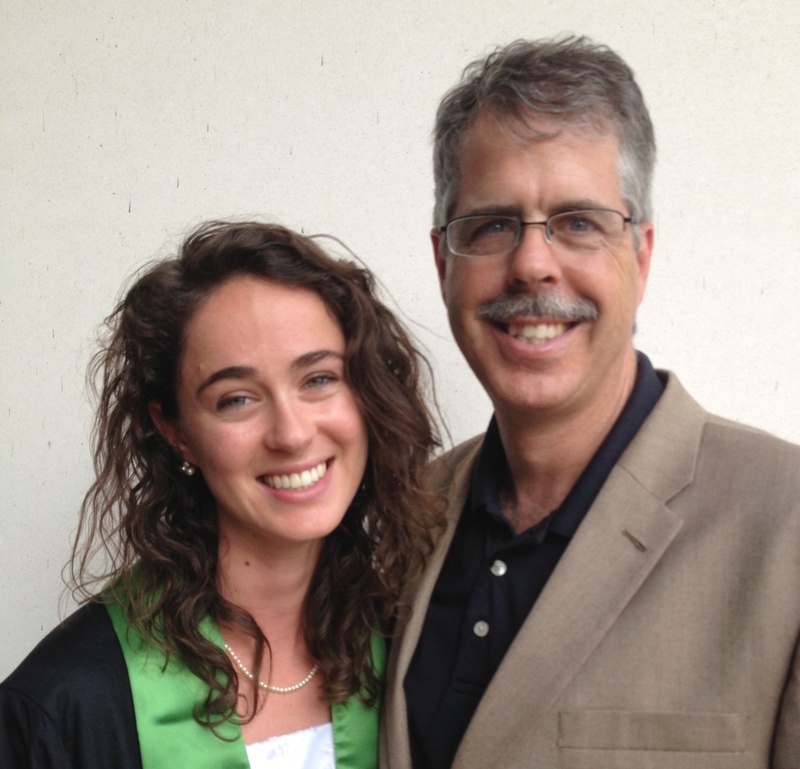 Brittainy is a second-generation Baylor engineering graduate and a third-generation environmental engineer in the Tidwell family. My dad was a first-generation environmental engineer that was focused on preventing dumping into the rivers and land. My generation has been focused on cleaning up some of the damage from unrestricted dumping, and Brittainy’s career will be focused on creating sustainable design that will ensure that what we make and how we make it will be better for the planet. Baylor has been a large part of the strong engineering roots within our family and our focus on environmental engineering. Q: How have you seen the engineering program at Baylor change since 1985? A: Last summer, I hired an intern from Baylor to work with me. What an amazing young man! The engineering students from Baylor are so impressive and so wise about the world around them. I’m absolutely convinced that these students are sharper than the students who were in class with me in the 80’s. I have been very impressed with the students that were in class with Brittainy and that have interned with me at Bridgestone. In addition, the facilities that Brittainy had during her four years at Baylor by far trump the few Arts & Sciences labs and classrooms I had in the early 80’s. It has been a real source of pride for me to watch the engineering program continue to grow and receive accreditation, but I also don’t want to overlook the growth of the University’s reputation as a whole. It’s nice for the engineering programs to be on the rising tide of Baylor’s overall reputation as a university. Q: In what ways has the engineering program at Baylor stayed the same? A: Brittainy was very impressed with Baylor’s focus on personal and professional responsibility to use your education and your career for the common good. That seems like something that has remained true at Baylor. Another thing that has stayed the same is the breadth of education at Baylor. As an engineering major, I was encouraged to take the environmental classes that I wanted to take. The Dean at the time encouraged the appropriate transfer of credits that allowed me to pursue environmental studies in conjunction with engineering. Baylor has a broad approach to learning that I still believe is encouraged, even with the rigorous engineering program that exists now. Q: What led you to your current job as Director of Environmental Management at Bridgestone/Firestone, Inc.? A: I went to Law School at Vanderbilt University after completing my engineering degree at Baylor. After law school, I practiced environmental and patent law for a big law firm. From there, I worked for Bridgestone’s in-house law department where I discovered that I really enjoyed building teams. I left Bridgestone for a short period of time to serve as the general counsel of the Tennessee Department of Environment and Conservation. When Bridgestone starting building new plants, I was offered a role that included doing site location reviews for the new plants, and that’s a part of what I still do. My career path started in legal and then shifted over to management. Q: Describe your current job. A: In addition to site location reviews, I focus on setting the right performance indicators for environmental excellence. The environmental excellence that we strive for at Bridgestone focuses on performance, compliance and reputation. All three of those aspects work together to reduce Bridgestone’s environmental footprint, improve efficiency, save money and build pride in our commitment to take care of the environment at all of our tire manufacturing facilities. Bridgestone has the first two LEED-certified tire plants in the world, the first ISO 50001 energy management certification, and the first Underwriters Laboratories’ validation for Zero Waste to Landfill. We’re focused on compliance, but we are also looking at the environmental aspects that we can improve that, in turn, improve our bottom line and our commitment to take care of the environment. One thing that I’m really proud of at Bridgestone is the establishment of wildlife habitats and outdoor environmental education programs at several of our plants. We are trying to help manufacturing shift from a secretive industry to one that is much more open and transparent. A: The most challenging aspect of my job is globalization. The standards for environmental performance are becoming very global. Not only is Bridgestone developing global standards for manufacturing within the company, but various governments where we do business around the world have environmental standards as well. Figuring out how to efficiently comply with the governmental standards and maintain important performance indicators within engineering on a global operation is an interesting challenge that we face. I think this challenge is highlighted in the environmental arena, but I think it’s a trend in all areas of engineering. We operate in a global marketplace, and the products we design and the materials that we use are going to have to stand up to global scrutiny. Many of today’s engineers who work for a consulting firm will have clients that are likely owned by a company that is headquartered outside of the United States. The global perspective a university like Baylor provides is outstanding. Engineering students who can find time to study abroad will find that the global experience is very valuable in today’s marketplace. Right now, it’s seeing Brittainy start her career. I’m blessed to have a career that has inspired my daughter. That kind of overshadows everything right now. Q: What is the one thing you wish you had done differently as an undergrad at Baylor ECS? I would talk to professors in their office and build those relationships outside of class. I didn’t closely connect with my professors so I missed the ongoing early career mentorship opportunity that was there. I didn’t take advantage of that, and I wish I had. Brittainy has done a better job of this than I did, and she has two professors that have made an impact on her. Q: How are you involved with your community outside of your current job? I currently serve on the board of directors of the National River Network and previously served as chairman of Tennessee’s Air Pollution Control Board. I serve on several other boards, and I was recently named President of Friends of Radnor Lake, a local organization that is dedicated to the protection and preservation of Radnor Lake. Baylor really highlighted the responsibility to give back and build more than your own career. Another thing that I’ve done every year is teach. I recently completed a two-class visiting professorship at Dayton University n pollutants. In addition to professional and community responsibility, I am happy to teach about the practicalities of manufacturing and the life cycle of a manufacturing plant to future engineers. Q: What advice would you give to current Baylor ECS students? Alumni? The opportunity I had to reengage with Baylor when Brittainy was there opened my eyes to how fun it is to reconnect on campus, and even off campus, with the Baylor community. The Baylor [Network] in Nashville is the like the Baylor family in many other places; they’re fun people to connect with. I’d encourage students and alumni to get involved with the Baylor community.